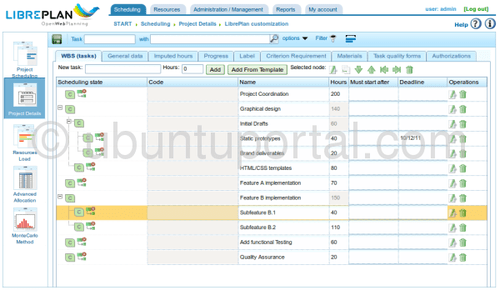 LibrePlan will help you to easily manage the project you’re working on. Libreplan can estimate the time required for project tasks, counting the number of hours worked per day, showing you statistics. making it easier for you to find out how much the project cost is required, and adjust the plan for project implementation. LibrePlan includes more features and for more information about libreplan please check here.